I flew out last Friday morning to Austin, Texas and home again early on Sunday. I’m still recovering from a whirlwind of a weekend spent celebrating the wedding of one of my closest longtime friends. I’ve spent half my week a little delirious from the travel exhaustion and the excitement and the beauty that was all of it. Traveling mid-semester is no joke. I carried a bag full of student essays with me through airports and airplanes, and I had to work hard to turn off the teacher-brain and the mom-brain living inside of me with that constant voice of rush and guilt and worry. 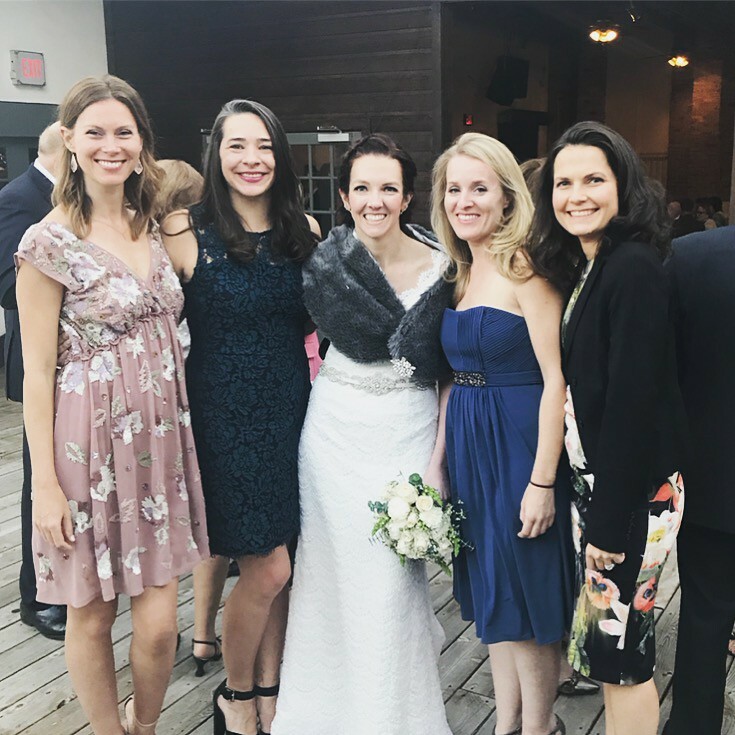 But I managed to quiet those voices for a day or two as I celebrated with some of my oldest friends – some of whom live close or traveled with me and others spread from Texas to New York City. 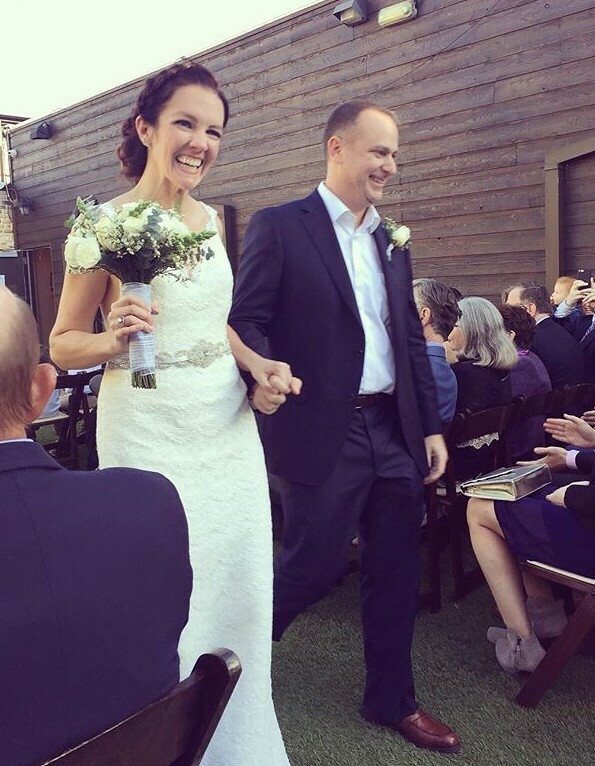 We celebrated Friday night at the rehearsal dinner and an after party downtown, and then we woke early on Saturday morning and ate breakfast in a a little cafe before stopping by the LBJ Library for a while. 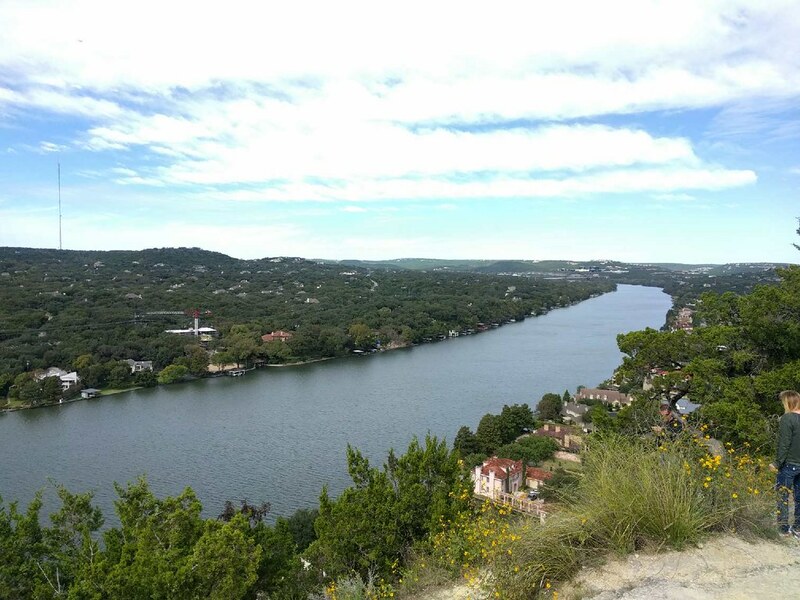 Eventually Graffiti Park and Mount Bonnell followed, and the climb up gave us a beautiful view of the Colorado River. Austin is such a unique place, and I already find myself wanting to go back and explore a little more. It was full of so many fun and funky spots. We walked the few blocks Saturday evening from our hotel to the wedding venue, and I had the best kind of butterflies in my stomach. I’ve seen this friend through something like 18 years of ups and downs and dating questions and heavy moments for the both of us where we thought we knew where the path was going but found soon enough that our assumed outcome wasn’t in the cards for us. Weddings are almost always beautiful, but this one held its own kind of special for me. A reminder that sometimes the most uncomfortable bumps in the road and the very biggest heartaches are actually exactly what lead us to what is real and true. A reminder never to settle. A reminder that real love is always worth the wait, no matter how long that is for us. A reminder that we never really know where the story ends. Weddings can bring all kinds of sticky things for you when you are divorced, that first year or so especially. It’s hard to watch others make promises when you are emerging from the shreds of your own that were left unfulfilled. But this one was easy for me. It felt soft and real and not sharp or sad in the least. Maybe that means I have healed, or maybe that means they are the real deal. Or likely both. Whatever the reason, only love was there. This season of my life has shown me how narrowly I’ve seen that word love. How much bigger it really is from what we perceive it to be. How much it stretches beyond the reach of two individual people and moves far and wide through the circles that make our lives what they are – if we are lucky. These women are so much to me. Even as a writer, I can’t really describe it in words – which is something I don’t say often. We have seen it all in the past 18 years. They are there through thick and thin. The real thing. I knew it would feel good to see one of our own celebrated like this, but I didn’t expect it to feel this good. I think you know that friendship has reached that magic place when your sadness is truly my sadness, and on the other side, your joy is my joy. It was all joy last weekend, and it felt like such a gift to watch it happen. 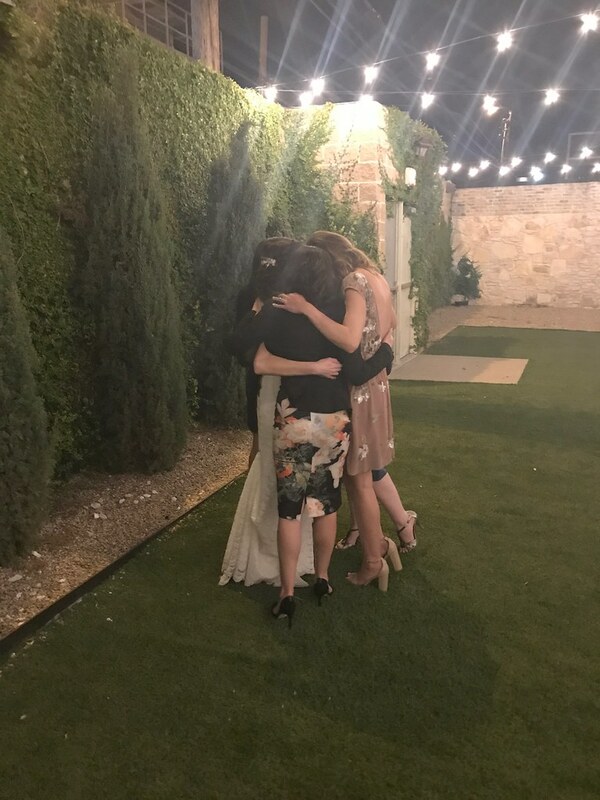 We stole her away for a minute during the reception to step outside for a second and get out of the madness of the crowd. The tears of gratitude wouldn’t stop for me. That joy that hums deep down inside where it is so much fuller when you’ve seen the other end of things. Who knew heartache could make your happy happier? Love is sweeter when you’ve had to wait it out to find it, and love is better when you have friends who see you like a sister. Someone’s husband snuck this picture, and it’s my new favorite thing. I’m the luckiest. 18 years together is something to be grateful for. I’ve stopped reading that script that tells me love is somehow less present in my life because I sleep alone. And it’s such a liberating thing to see my life for just a moment from the outside eye – from the camera lens or through the eyes of a friend. I’ve got more love than I can handle, and it overflows sometimes in the very best ways. I feel that line running through the undercurrent of my life, and everyday that I get more solid on my own two feet and more grateful, it gets stronger. I don’t know where it’s headed, but it’s taking me with it. I know there is a more typical love story happening one day in my life, too. The kind with two people and a white dress and all that comes with it. I can’t even explain why I know this except that I just do. The way you know the sky is blue and trees have roots. I can feel it pulling so clearly sometimes in a way that is more real to me than almost anything else in my life. But I’m waiting it out. And in the meantime, this love story I’m in right now is not the kind I thought it would be, but it is as true as anything ever was for me and anything ever will be. Love is love is love is love.